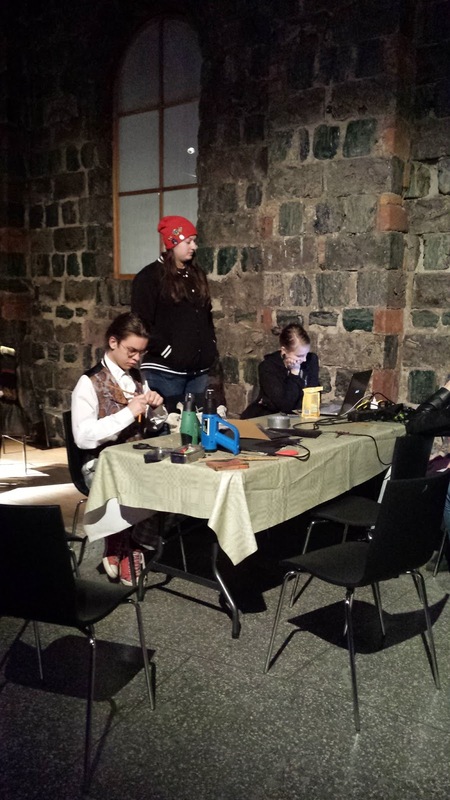 The last weekend in October it was the first try with a small convention in Avesta. 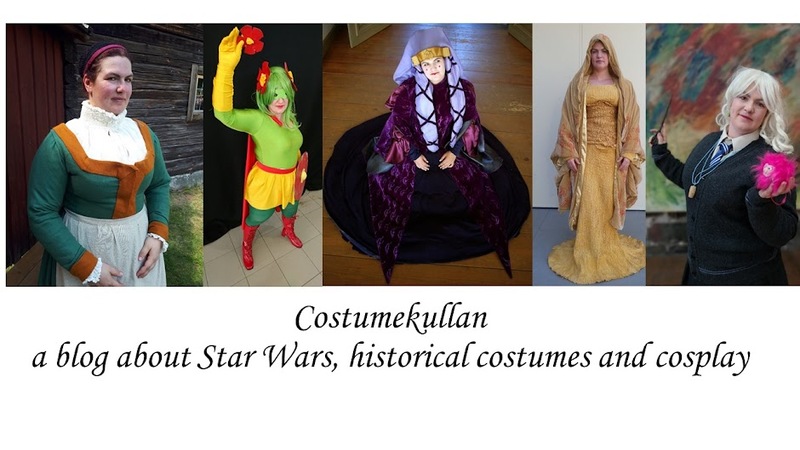 I was ther both representing Cosplay Dalarna and the Nordic Legions. 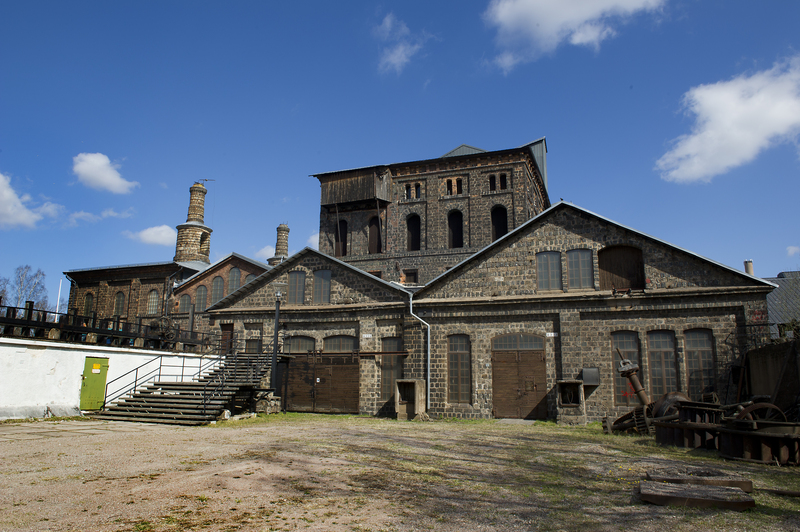 The Convention was held in a really fascinating building called "Verket" which is an old iron foundry, all built in wonderful brick. I love these old industrial buildings, and it was a great environment for cosplay. 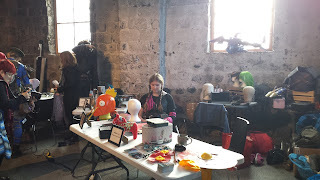 Cosplay Dalarna had a corner where we showed off some of our props and costume parts, as well as working on some smaller projects. We had also offered to show visitors how they could work with different materials, so for that reason the organizers had bought a lot of worbla. We decided that the best things to do, that was simple, easily recognizable and quite quick to make were wands. We made wands, and had kids from aroud 8 doing them as well, by wrapping chopsticks in worbla and then create different markings and decorations with more worbla. On Saturday I held a presentation about Nordic Legions and cosplaying for charity. For Saturday I wore my Mon Mothma, since it's comfortable and I could do crafts in it. 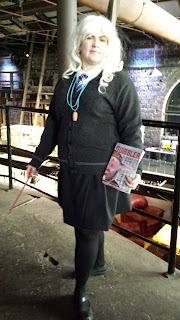 On Sunday I premiered my first version Luna Lovegood. It was also a great costue since I had to leave after lunch in order to go to a work-related thing, and it was practical to have a cosplay where I basically just needed to take off the wig and tie and then nobody would guess it's a costume. Unfortunately I ended the event with dropping my wand on the brick floor and it broke, so I need to get a new one. Well I need to get a lot new things to upgrade Luna to a more accurate version, but I still enjoy this first version.